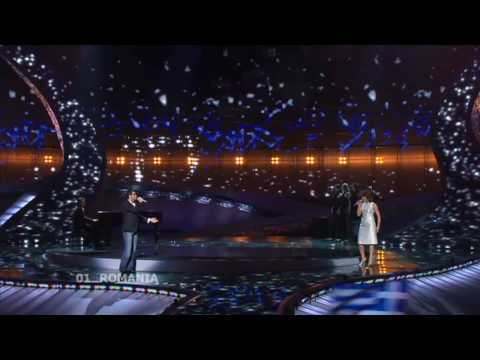 Romania has proofed as one of the strongest nations in the Eurovision Song Contest. Romania is always found in the top positions of the scoreboard recently. Maybe the Romanians have a very good hand for the right choice of music. Romania has never won so far, but if they are following this attitude this might happen sooner or later. The first years after the debut in 1994 Romania was probably not really accepted by the juries. But quality will normally be honored at Eurovision. This year Romania is having a real classic Eurovision ballad. It even sounds like an Italian song. Romanian and Italian are both Roman languages and sound very similar. But due to the fact that Italy has not returned since 1997, San Marino is going to have it’s debut this year, there will be at least on real Italian song. San Marino’s song is very modern and appeals more to the younger generation, while Romania is presenting the “old school”. It all depends how the stage presentation is going to be, Nico & Vladi have both strong and impressive voices, the song has a clear theme and the melody is catchy by first hearing. Don’t underestimate Romania this year!